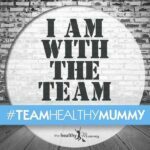 On the Healthy Mummy plans, we focus on HIIT (High intensity interval training) as more and more research is showing it to be the best ways to lose fat. The short amount of time required to perform each workout is also PERFECT for busy mums and this is why all the 28 Day Weight Loss Challenge daily exercise routines include HIIT. HIIT is often described as a workout that is made up of intense bursts of effort (60 seconds) and short periods of recovery or reduced activity (30 – 60 seconds). The wonder of HIIT is in its efficiency and ability to achieve more in less time. The metabolism is shown to accelerate post workout as calories continue to burn long after exercise has ceased. Research shows cardiovascular HIIT to be most popular among athletes and exercise enthusiasts for the specific purpose of body fat reduction, revealing that the high intensity portion of HIIT (short bursts of high intensity efforts) actually improves fat oxidisation. A recent study from the American College of Sports Medicine Annual Meeting showed results ordinarily achieved in 6-8 weeks of endurance or steady state exercise, were accomplished in just 2 weeks of personalised HIIT training. A recent Australian study showed females who followed a 20-minute HIIT program such as the one found in the 28 day weight loss challenge consisting of more than 5 second high intensity training lost up to six times more body fat than a group that followed a 40-minute cardio program performed at a constant intensity of 60% MHR. The science also suggests that HIIT not only burns more calories (and body fat) than many other endurance activities, it also creates a dramatic improvement in exercise performance, despite the low exercise volume. Even small amounts of HIIT training have shown significant improvements to VO2 max (a popular measure of endurance capability) and a 2012 study by Gibala, showed notable improvements following only six sessions of 2-3 minute HIIT, over a 2 week period. When compared to other training methods, HIIT may be as or even more effective than traditional endurance training, allowing similar or increased results in physiological performance. Below is an example of one of the daily HIIT rounds mums complete from our 28 day weight loss challenge (and don’t worry each exercise and routine comes with full explanation, instruction, images and as of November Challenge video too. The workouts are fabulous! Everything you can do on the lounge floor while you have a few spare minutes between loads of washing while bub is napping- no excuses! I love that the challenge exercises are so versatile. I can do them at home with very minimal equipment and at any time of the day, before the kids wake up, or even after they go to bed. The exercises got me out of my normal routine trying new combinations, got my heart rate up and fit in with my busy life as a mum.